We are proud to announce that Antigua Owners Association of Monarch Beach has selected Tinnelly Law Group as their associations’ legal counsel. Antigua is set high up on the cliffs of Dana Point in the guard-gated community of Monarch Beach. The community consists of beautiful contemporary architecture around the award-winning St. Regis Golf Course and Hotel. The city is known as “the most romantic spot on the California Coast”. With over 7 miles of beautiful beaches and award-winning hotels and golf-courses, Antigua residents enjoy some of the best views in all of California. 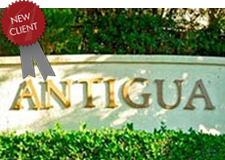 Our HOA attorneys and staff look forward to working with Antigua’s Board and management.